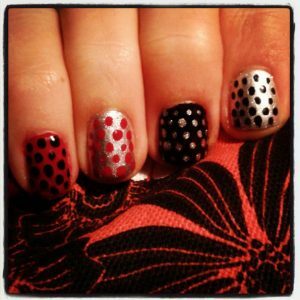 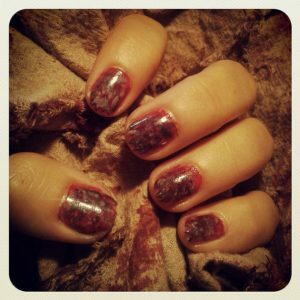 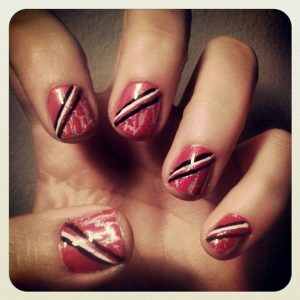 Red crackle coat with black and white lines. 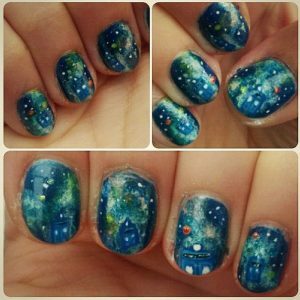 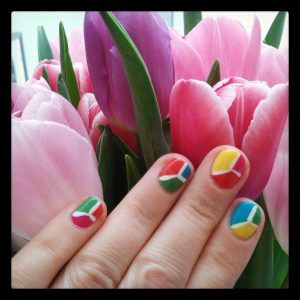 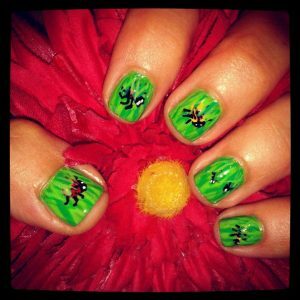 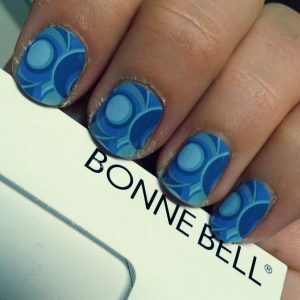 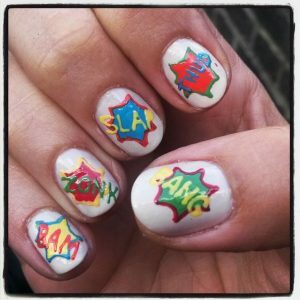 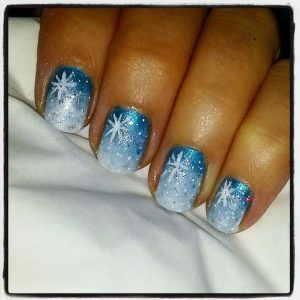 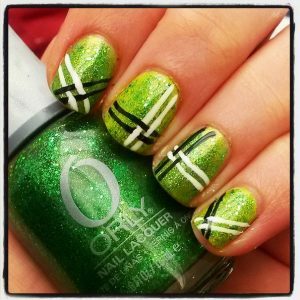 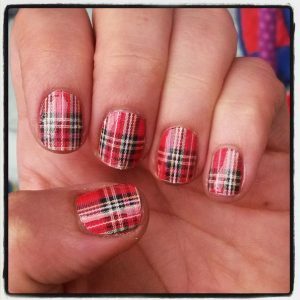 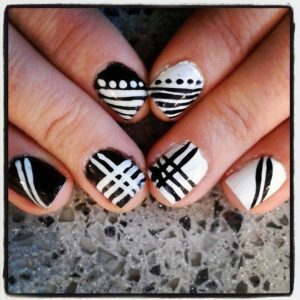 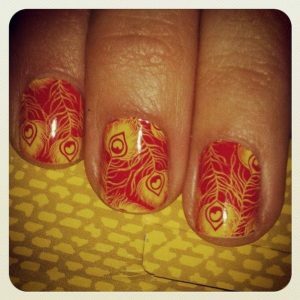 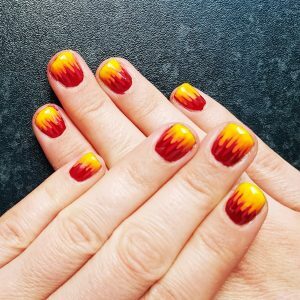 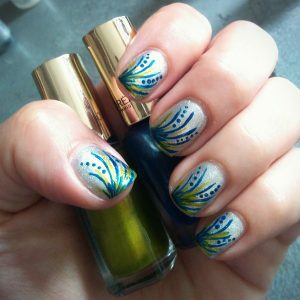 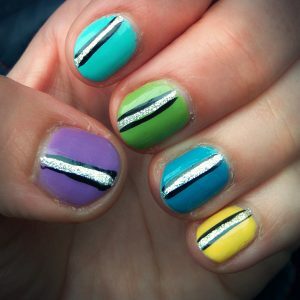 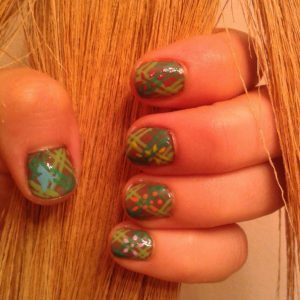 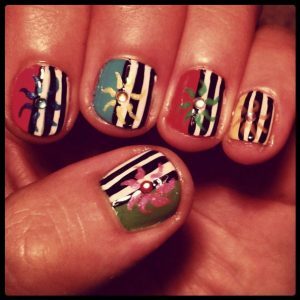 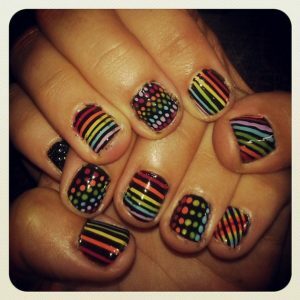 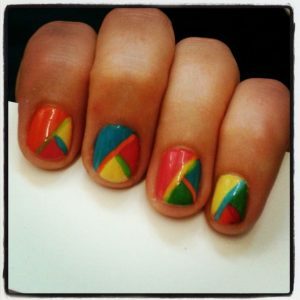 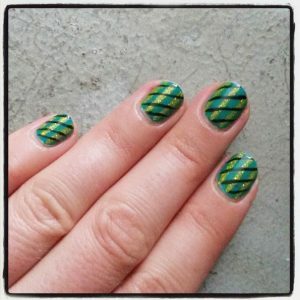 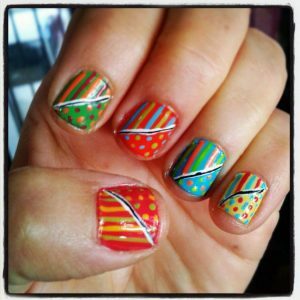 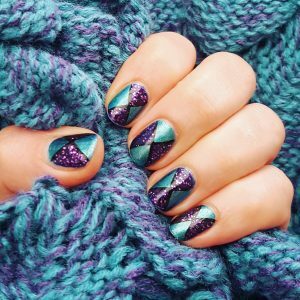 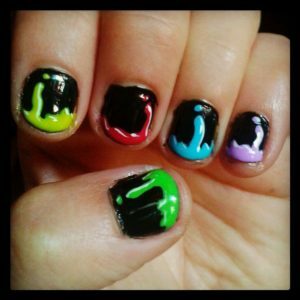 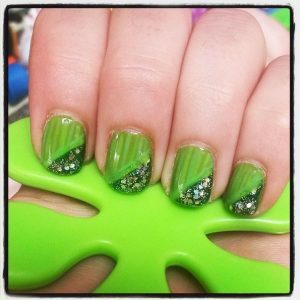 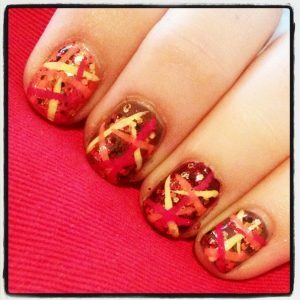 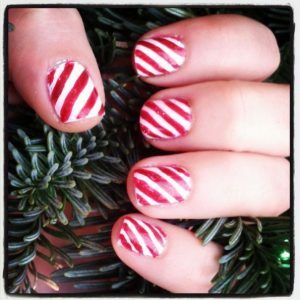 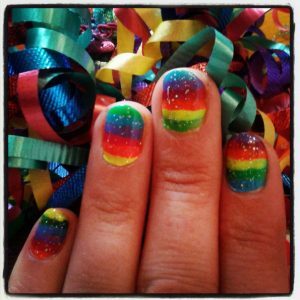 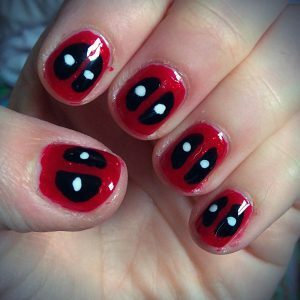 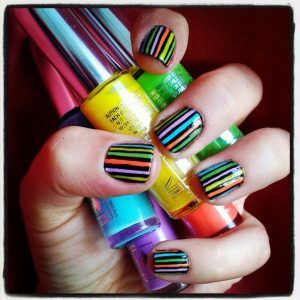 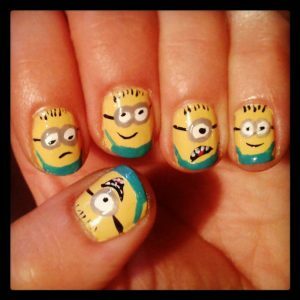 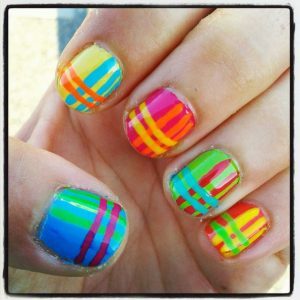 A bright and fun nailart desgin. 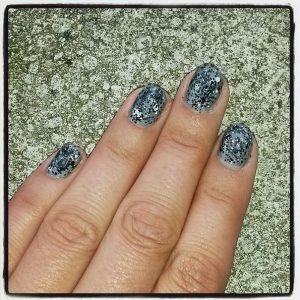 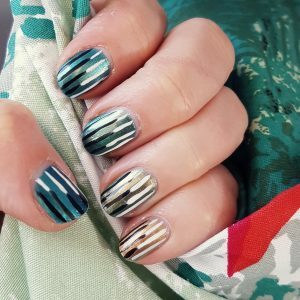 Silver polish with a few metallic highlights. 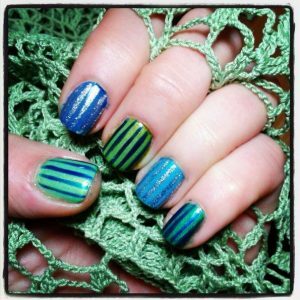 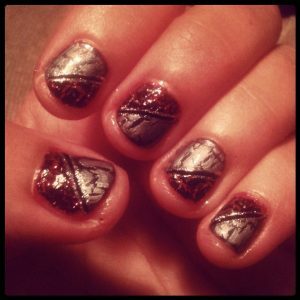 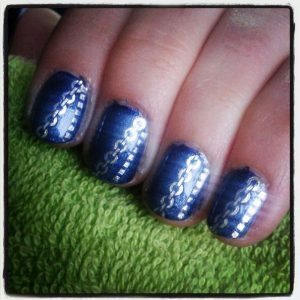 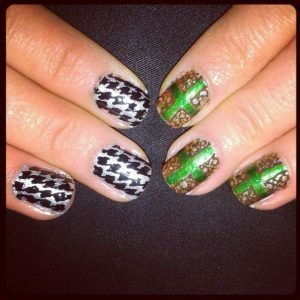 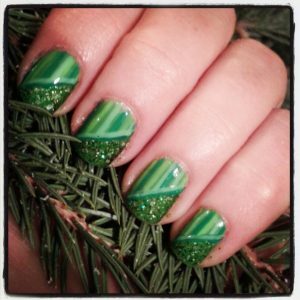 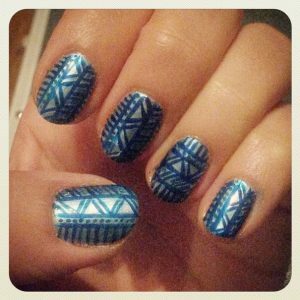 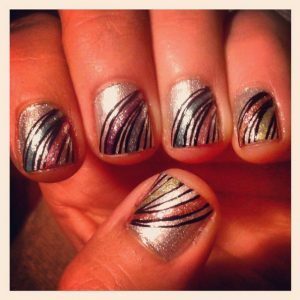 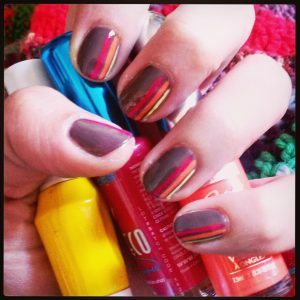 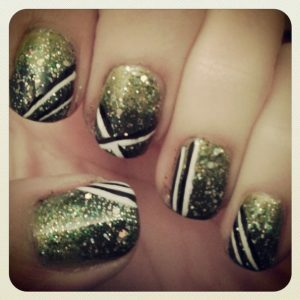 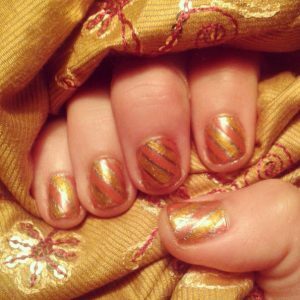 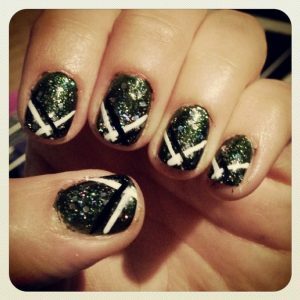 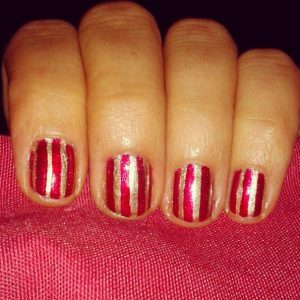 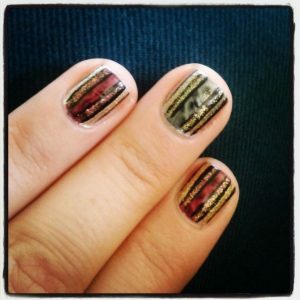 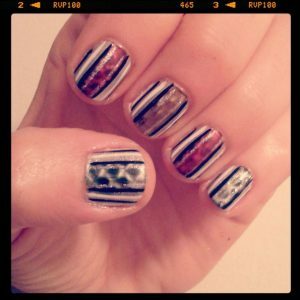 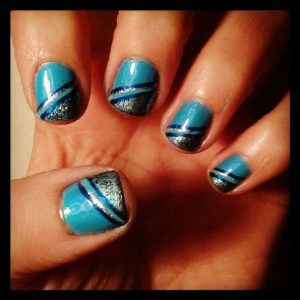 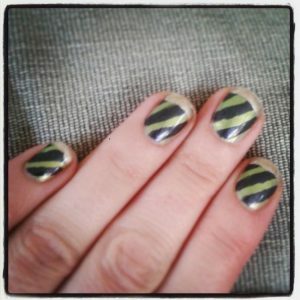 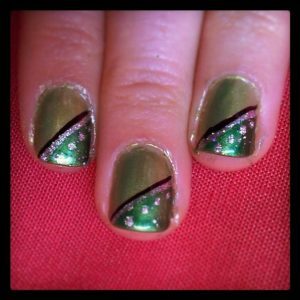 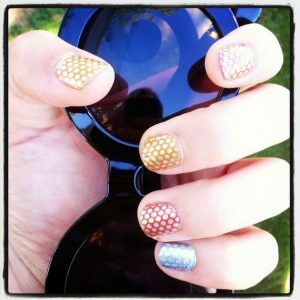 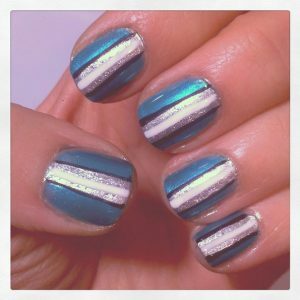 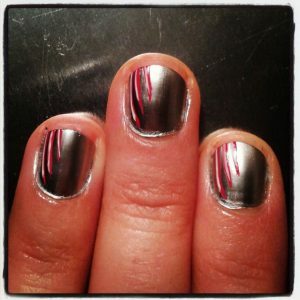 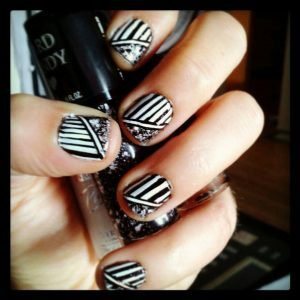 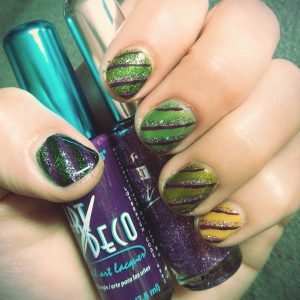 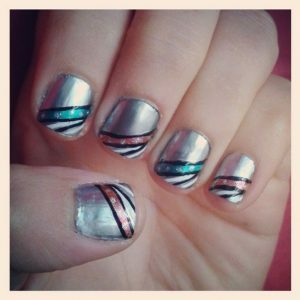 Another metallic design with thin stripes. 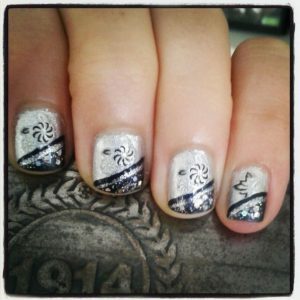 Reflective silver design with claw marks. 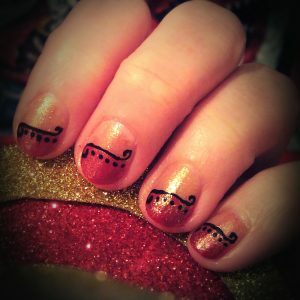 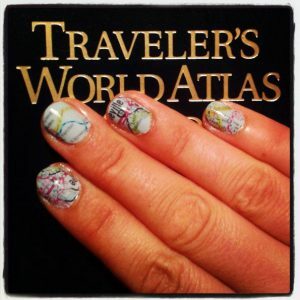 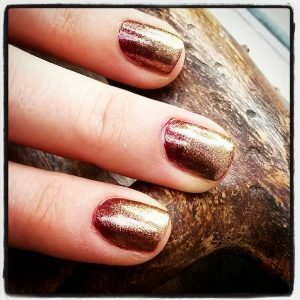 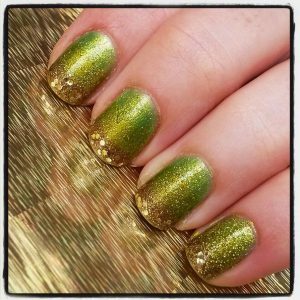 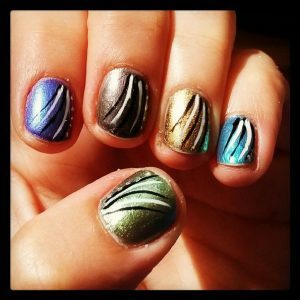 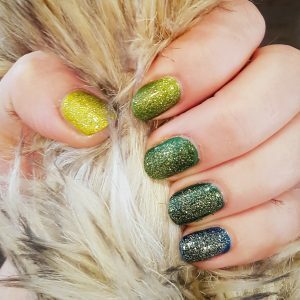 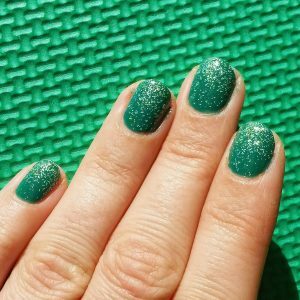 tried a bunch of different techniques to teach nailart to a group of friends. 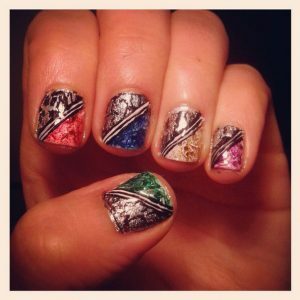 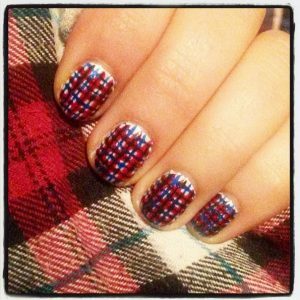 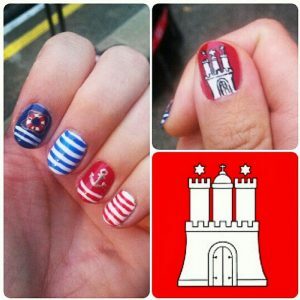 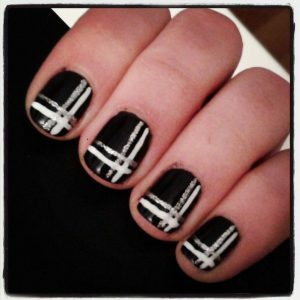 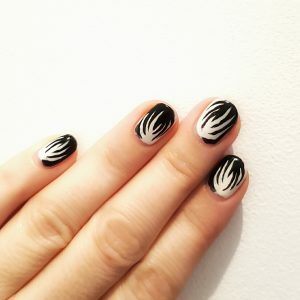 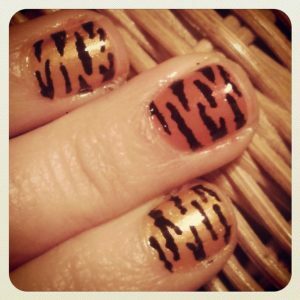 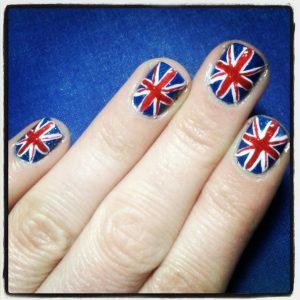 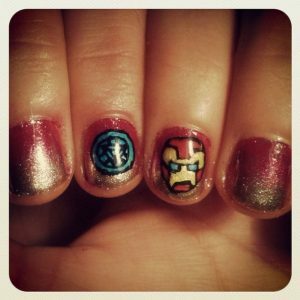 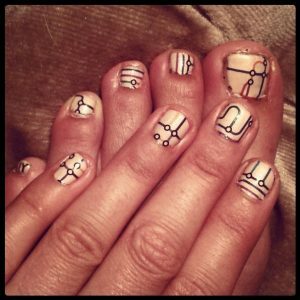 Trying another brand of nail stickers, still not convinced. 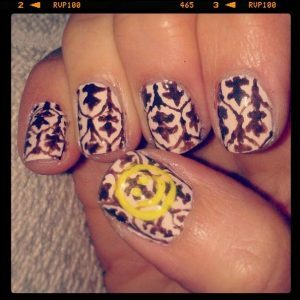 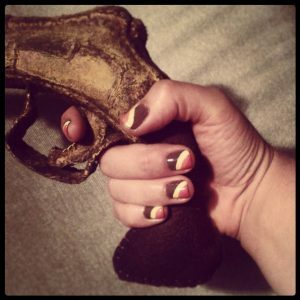 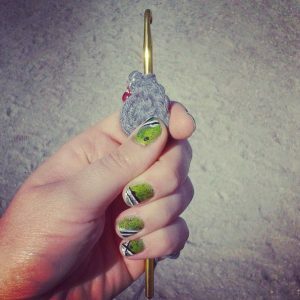 Sherlock wallpaper nailart, handpainted with small detail brush. 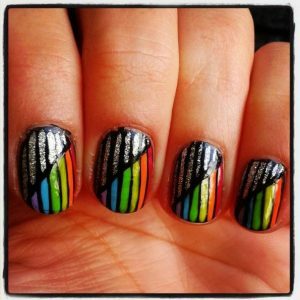 Rainbow to silver pinstripe design.